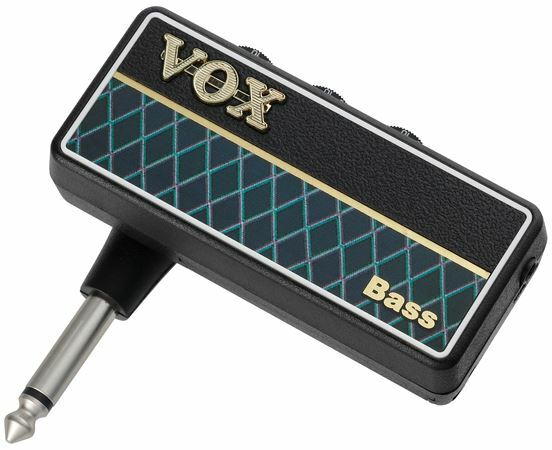 Shop Vox Amplug Bass G2 Guitar Headphone Amp from AMS and enjoy Fast & Free Shipping. With amPlug G2, the crucial analog circuit has been drastically improved, and each model now provides three modes. Guitar types provide multi-effect functionality, and a rhythm function has been added to the bass type. A foldable plug mechanism that rotates 180 degrees and an auto power-off function are additional features that contribute significantly to improved convenience and ease of use. Foldable plug that rotates 180 degrees. Auto power-off function ensures longer battery life. Vox added a function that automatically turns off the power even, if you leave the unit with the power on. Since this function works by detecting operations or audio signals within a certain length of time (30 minutes), it has absolutely no effect on normal use. This feature further enhances the convenience of the amPlug. The sound with this is excellent. I've been playing bass for decades. I can use this device and learn what I need to learn quickly. The best feature is that my wife is not disturbed in any way!!! How ya gonna top that?!?! Get one. A happy wife is a happy life!!!! Really disappointing low end, mediocre beat feature. The sound quality I'm getting is dismal. Anywhere below E2 or so I mostly hear second harmonic, not the fundamental, and E1 (normal open E on a 4 string) is an indistict mess. The beat feature is handy but I wish it included a simple click or metronome. The three beat options available are pretty limited, and while a click might not be rhythmically interesting in it's own right, it's a lot more versatile. I don't recommend it. I have a Vox guitar amp that I quite like. I'm surprised they're willing to put their name on this thing. It’s really great for practicing. You can hook your headphones in and have auxiliary for mp3 or cellphone downloaded music to play alone. Have drums beats as with setting your tempo. Good things come in small packages. The tone is as good or better than the Bass Rockman I had back in the 90s. The sheer difference in footprint is astounding and I'm thrilled with the Aux jack for my phone so I can jam along to my stored music and YouTube. At first I was concerned that it felt light and cheap, but honestly who cares. Great sound and a half-way decent drum machine in this little box. I would have given 5 stars for some effects rather than a limited drum machine, but in the end it's absolutely worth buying. I am very impressed with all the different settings, the growl of my bass tones, the versatile swivel, backup rhythm tracks with a different time signature, and an aux jack is cool too. Cool little practice amp. Just plug it into your bass, plug in your headphones and turn it on and you can practice all night and not disturb anyone. I was very skeptical about this purchase. So much so I was ready to setup a return before I had even received it. The Amplug Bass is absolutely amazing. Perfect for the musician who lives in a apartment and wants a way to jam without disturbing others. Great Sound, lets me play without bothering my WIFE! I've tried several headphone amps for guitar and bass. The hiss drove me nuts. 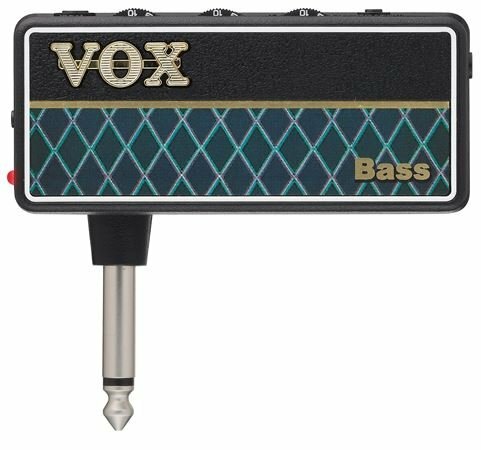 With Vox Bass, it is subdued and tolerable. Tone is very good and somewhat adjustable. The controls are intuitive, well placed with an on/off switch to the side (that also sets gain level) and settings on top for volume, tone and neat 3 track rhythm section with its own on/off button and tempo selector. There is an aux jack (outstanding for this size and price point) and an obvious headphone jack to the side. My Strat, PRS and two basses sound great. It's packed with awesome options. It should be in everyones kit. AMS Responds: Thank you for your review. We greatly appreciate you taking the time to share your thoughts and experience with this headphone amplifier! We hope this is helpful to the next customer interested in this quality product.